provide a diverse list of financing solutions to businesses in need of capital. Commercial Capital Training Group has developed and successfully implemented an intensive 7-day finance program that allows individuals to own their own commercial finance businesses. We eliminate all the learning curves and barriers of entry into the lucrative and prestigious world of commercial finance. We do this by providing a thorough education on operating a commercial finance business and the various financial instruments you will be able to offer along with proprietary marketing tools, ongoing support, and lenders to deal with directly. Below are the two unique packages we offer entrepreneurs interested in our commercial loan broker training program. After completing our finance program, you will be able to start out as a full-service commercial finance business, you will be able to provide business loans from $5,000 to over $500,000,000 to businesses with virtually any type of credit and in any industry. You will not only take advantage of approving what the banks today decline but you will also have finance products for businesses and commercial real estate investors with perfect credit and financials that are very competitive with lenders and banks with programs that are more attractive than most banks people know about. You will have the ability to offer over 25 different types of commercial loans to businesses and commercial real estate investors. You can earn anywhere from 1% to 15% of the loan amount, depending on the type and size of the transaction. There are even some loans where you will earn an on-going monthly commission for a one-time transaction. This is what the industry calls residual income—a check every month for closing one loan. With some transactions, you can make more money with one deal than most people make in a year meaning the commissions are in the six figure range (this is typical with larger transactions), or you can fund smaller deals and close multiple transactions every month. This past graduate was able to quickly implement the knowledge and tools that Commercial Capital Training Group provided through the our financial training program to open the door to an unlimited amount of opportunity and income. This graduate left the program to immediately start networking and looking for businesses that he could provide financing to. He has been out of class for almost 9 months and has made almost $500,000. Throughout our finance training program, you will learn about each type of transaction that you will be able to offer businesses. We will go through a deal from start to finish, demonstrating how to package and present a transaction properly to your lenders. We will go into detail on how to properly structure and package a transaction so that your lenders can properly do their due-diligence and approve your transaction. We cover topics such as but not limited to creating executive summaries, reading financial statements, tax return analysis, cash flow analysis, debt service calculations, structuring transactions for approval, packaging and presenting deals to lenders, proper broker etiquette, growing your business, fee agreements and many more topics. To be a successful individual in this business, you have to understand these topics in order to properly handle certain transactions for your client. That is why we spend so much time on these points. While attending our finance program and business training, you will personally meet over 45 “core” lenders that you will be pre-approved to do business with. Not only will we train you, but our lenders will also educate you on their specific commercial finance services and pass along inside knowledge directly to you. It is important to know that they have agreed to do business with our graduates and have waived all time in business and experience requirements that banks and lenders typically have. In addition, you will have access to our live proprietary deal exchange program. This innovative technology allows over 3000 banks and lenders to preview your transaction who monitor this exchange daily. Simply put, this allows over 3000 lenders to bid on winning your deal in addition to your 45 “core” lenders that you will meet at our training. We will spend almost two days teaching and showing you how to quickly get clients for years to come with our proprietary marketing presentation. We know marketing in this business better than anyone as our founder owns and operates the nation’s only marketing agency dedicated to the finance industry. Under our Signature Gold program for the first two years of your business, you will have a specialized marketing team of over 30 people at your disposal working on your social media management, content marketing, and email marketing. For a full TWO years our marketing company will work hard to generate you leads from the above marketing efforts. In fact, our guarantee is that you will have pre-qualified, real-time requests from businesses that desperately need your services the minute you return from our training facility. We also have our highly sought after exclusive Elite Platinum Program. This program is designed for the entrepreneur who wants the very best marketing and lead generation plan that money can buy. The marketing package alone that is included in the this package is valued conservatively at over $130,000 a year of which we are offering at a fraction of that value. This package includes marketing for the life of your business and a heavy lead generation program to rocket launch your business and sustain your business for years to come. We lay down the foundation for your business’s identity by giving you your own website and other powerful marketing components to be successful in this business and ensure your best chances for success. business opportunities: One in commercial finance and one in the highly-sought-after digital marketing industry. Learn more about our Enhanced Program Add-on. One of the most intriguing features of our commercial loan broker training is that you will learn our business model that we have developed and implemented, allowing you to operate your business right from the comfort of your own home. This home business opportuntity allows you to work full-time or part-time and work wherever you want. We even teach you how to inexpensively hire and set up a sales force to bring clients to you and grow your commercial finance business. Our finance program and financial business plan is truly the first step toward your financial freedom. 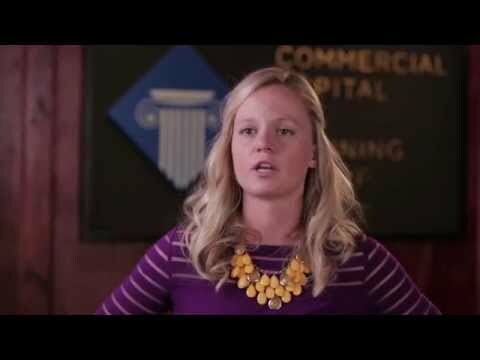 Click here to get an in-depth look at our commercial finance training program.